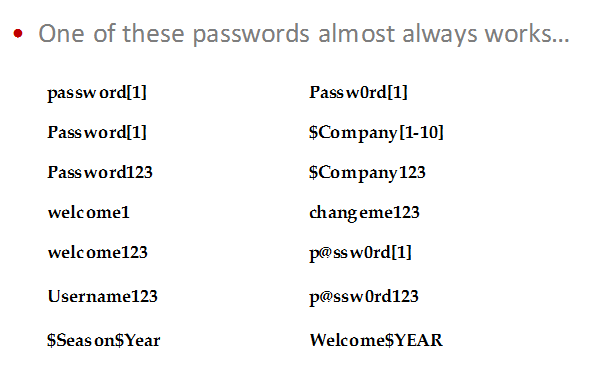 This is a list with very common passwords that it can be used in a penetration testing. If you have any suggestions for passwords that must be included in the list please feel free to add them as a comment in order to expand the list of the common passwords. Thank for your useful list. Thank you John for your feedback on this post.I will attach it as well as a .txt file. List of Common Passwords!!! Please NEVER use passwords made of dictionary words or just numbers. Always, I repeat, always use a password with a combination of Upper & Lower cases, Numb3rs & Special Characterss*.